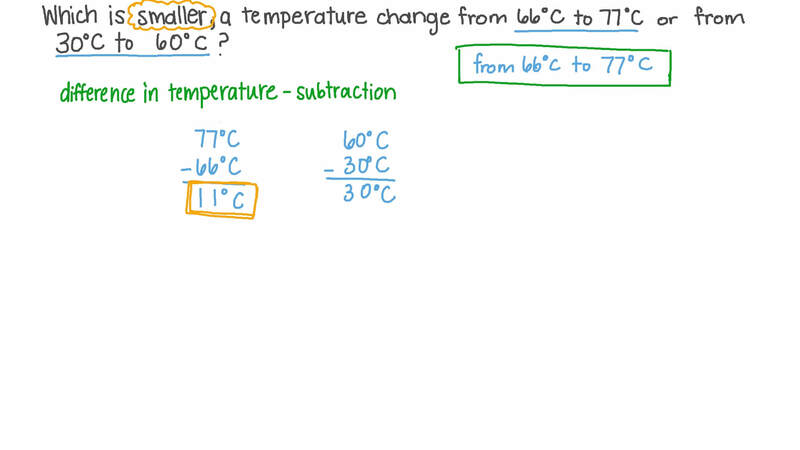 In this lesson, we will learn how to find the change in temperature and use integers to represent the change, in Celsius and Fahrenheit scales. 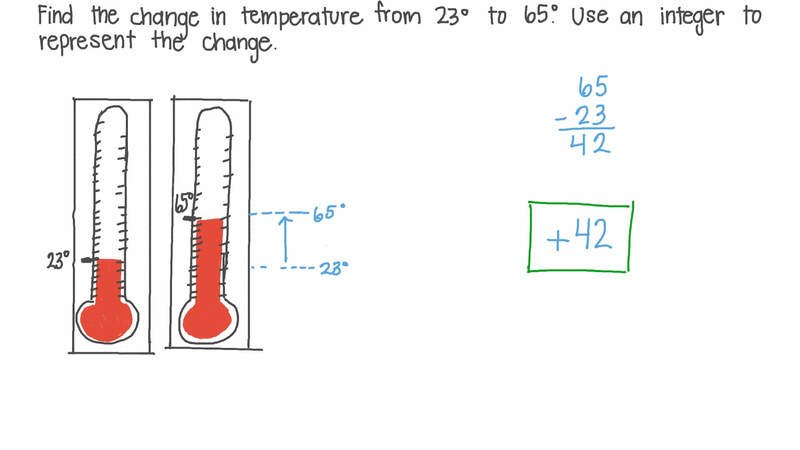 Find the change in temperature from 2 3 ∘ C to 6 5 ∘ C . Use an integer to represent the change. Which is smaller, a temperature change from 6 6 ∘ C to 7 7 ∘ C or from 3 0 ∘ C to 6 0 ∘ C ? Express the change in temperature from 4 1 ∘ F to 2 3 ∘ F as an integer. Which is greater, a temperature change from 5 9 ∘ to 6 2 ∘ or from 2 2 ∘ to 5 1 ∘ ? It is 1 4 ∘ C in city A and it is 6 ∘ C hotter in city B. What is the temperature in city B? 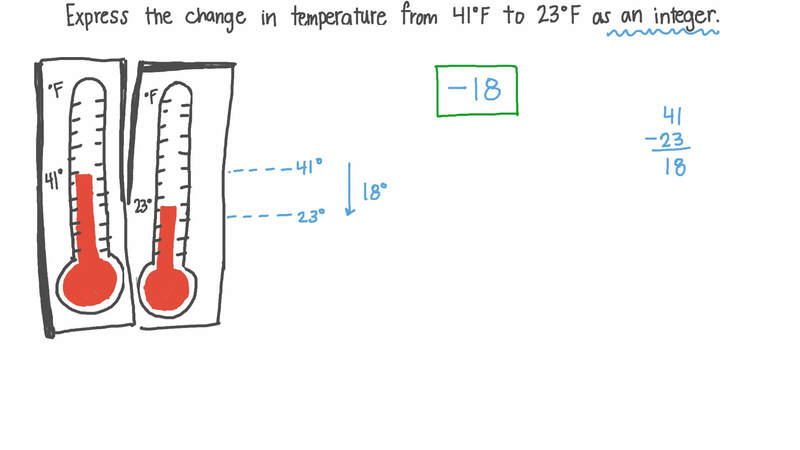 Express the change in temperature from 2 0 ∘ F to 3 1 ∘ F as an integer.